A complex, smart mystery filled with intrigue, drama, and more than a little danger awaits in Stephen L. Carter's engaging debut novel,The Emperor of Ocean Park. After the funeral of his powerful father (a federal judge whose nomination to the U.S. Supreme Court became a public scandal), Talcott Garland, an African American law professor at an Ivy League university, is left to unravel the meaning of a cryptic note and carry out "the arrangements" his father left behind. Armed with fortitude and familial devotion--though paranoid of his wife's fidelity--Talcott soon finds himself in an investigation that entangles him with a number of questionable Washington, D.C., denizens, including attorneys and government officials, law professors, the FBI, shady underworld figures, chess masters, and friends and family. All the while Talcott tries not to hurt his attorney wife's chance for a judicial nomination--and their fragile marriage--but the closer he comes to unraveling his father's dark secrets, the more dangerous things become.Clocking in at over 650 pages, the novel could easily have been streamlined; many of Talcott's thoughts are unnecessarily repeated. But Carter's storytelling skills are adept: tension builds, surprises are genuine, clues are not handed out freely. The prose, while somewhat meandering, can be crisp and insightful, as demonstrated in Carter's description of the misguided paths of young attorneys who sacrificeall on the altar of career... at last arriving... at their cherished career goals, partnerships, professorships, judgeships, whatever kind of ships they dream of sailing, and then looking around at the angry, empty waters and realizing that they have arrived with nothing, absolutely nothing, and wondering what to do with the rest of their wretched lives.--Michael Ferch--This text refers to theHardcoveredition. This long book is first of all a mystery, a very well plotted and engaging one, if somewhat implausible. There are two settings: black upper class Washington of a somewhat earlier time, and ivy league law school academia. The main character, Talcott Garland, is a member of both sets, although now more a well off yuppie than rich. Talcott is a man of conscience and introspection, who is a member of a disfunctional family and has a disfunctional marriage. He is well worth spending time with. The depiction of his marriage, and his totally selfish wife is very accomplished, whereas most of the other characters are those you might expect to find in an amusement. I certainly did not take away new insight into the black experience, academia or family life. In other words, read this as a fine mystery with some elevating aspects, not as a significant piece of literature. It is not always a page turner, especially in the first part, but I never found it dull. I agree with the other reviews here that the length is painful, but my biggest problem with this book is that the protagonist is so hard to like. Dull. Plodding. Humorless. Charmless. Is he severely depressed? However, since it is also impossible to dislike him, the thing holds together. And it is easy to sympathize with him as he sorts through the formidable mess his father left him. The complexity of the second half is worth the wait.I also don't see this as a legal thriller as much as a basic mystery with a strong legal back drop. Stephen L. Carter has woven a suspenseful novel of a man unraveling the mystery connected to his father's death. But this is more than a thriller; it is a novel about families and the things that bring them together and tear them apart; the secrets they keep from one another and the rest of the world; the legacies they pass from one generation to the next.Carter is an African-American law professor as is his main character, Talcott Garland. Through Talcott, he comments on issues of family, religion, law, education, race, marriage, wealth, and politics. I found the frequent philosophical digressions were some of the most interesting parts ofthe novel. Talcott has beliefs and values he tries to live by despite other influences. His life is not turning out as he planned and he is the pawn in the hands of his father's legacy, his wife's ambition, his sister's obsession with conspiracy theories, his brother's escape to Argentina, and his cousin's mental collapse.His father, a conservative Judge who has been disgraced during hearings for appointment to the Supreme Court, is found dead in his study and Talcott is charged from the grave to discover "arrangements" the honorable Judge Oliver Garland left behind. Through an intense and often violent search, Talcott deals with a disappearing scrapbook, two reappearing pawns, a mysterious delivery to a soup kitchen, and a stolen book of chess problems. Will he be able to fit all the pieces of the puzzle together and checkmate the opposition? Will the decades old hit-and-run death of his baby sister ever be resolved? Will the notorious underworld figure truly protect him, and at what price?From the ivory tower of a Yale-like Law School to the often peaceful resort of Martha's Vineyard and a secluded condo in Aspen, the reader follows Talcott in his search for the truth. However, I felt the great fault in the writing is that the narrator does not tell the reader everything he knows. Since vital information is revealed to the reader only in retrospect, Talcott's reasoning process and actions are often confusing and hard to follow. However, clearing up the mystery of how his father died and, more importantly, how he had lived, does make Talcott's story one worth telling. Although black influence may be discerned in many strands of modern popular culture, from sports to stand-up comedy, from music to fashion and movies, one couldn't say that this has also been the case for fiction. Professor Carter's book is a welcome first step in populating a compelling plot-driven narrative with characters we haven't heard from before (or at least, not to my knowledge). In "The Emperor of Ocean Park" black university graduates with high-powered jobs and all sorts of material comforts are resolutely center-stage. In Philip Roth's "The Human Stain", the main character must resign his blackness to achieve success and power in the academical world. Carter's characters never resign their race to be successful in the white man's world. The main voice is Talcott Garland's. He is a lawyer in his forties, a professor of law in an ivy-league-ish university, which in spite of Carter's denial in a post-scriptum is a straigth forward rendition of Yale Law School, where the author teaches. Garland is a complex man, not a cypher, surely a cut above the generic "cut-and-paste" renditions typical of modern popular fiction. He is slightly overweight, not very likeable (he is aloof and emotionally remote), very much his father's son. The father, the eponymous "Emperor of Ocean Park", is Oliver Garland, known in the book as "The Judge", a composite of Associate Justice Clarence Thomas, Judge Robert Bork and famous intellectual Thomas Sowell. A moderately conservative civil rights lawyer, he is appointed to a federal judgeship in the District of Columbia Appelate Court where he moves increasingly to the right. In the Reagan era he is nominated to the Supreme Court, but he must withdraw his candidacy when certain sordid associations become known to the public. He then joins a Washington D.C. firm as counsel and rakes in fat fees as a very popular public speaker. The Judge has shaped his children sometimes in ways he didn't mean to. The first born, Addison, is a rebel who refuses to be subject to his fathers very exacting standards of emotional self-control. His daughter, Mariah, the cleverest of all, has withdrawn from intellectual life to become wife of a rich white banker and mother of a large brood. Talcott has fled the rough and tumble of political life to become a tenured professor, and is stuck with Kimberley, a woman he adores, although she doesn't love him and may be cheating on him. A third daughter, Abby, died long ago, run over by a car that then fled the scene of the accident. This death is the catalyst of all that happens afterwards. The Judge is dead at the beginning of the book, and Talcott is quickly assailed by all sorts of shady figures who are looking for the Judge's arrangements. Talcott has no idea of what this means, and he struggles till the book's very end to find the arrangements and keep himself and his family alive. There is a complex chess problem (whose relevance is perhaps less clearly conveyed than the author intended) and several sub-plots to keep the reader occupied. Those thinking about buying the book should not be dissuaded by its heft. The book is a page turner and it has the right mixture of plot, action and rumination to keep the reader interested. It is also evidence that a book may be compelling without a single overtly sexual set-piece, without unnecessary profanity and without obsessive concern by fashionable slang or luxury good brands. This book will still be readable in fifty years without a special dictionary.Many people have commented on the detailed rendition on the specifics of middle class lives. The big surprise is that these lives are similar to those of their white counterparts. Middle class blacks are hard working achievers, sometimes hindered by emotional distance and obsessive self-pondering. Perhaps one key point is that this is not the middle class as such that we are regarding, but the upper-middle class, with their large townhouses in Washington D.C. ("the Gold Coast") and their summer places in the Vineyard and the Hamptons.We should expect this book to be slaughtered in the movie version, with Denzel Washington as Talcott, Morgan Freeman as the Judge, Hale Berry as Kimberley and Angela Basset as Maxine. Gene Hackman would be a good Justice Worthington. Read the book before you see the inevitable movie. It will only spoil the fun if you do otherwise. Stephen Carter's The Emperor of Ocean Park is a solid mystery novel. 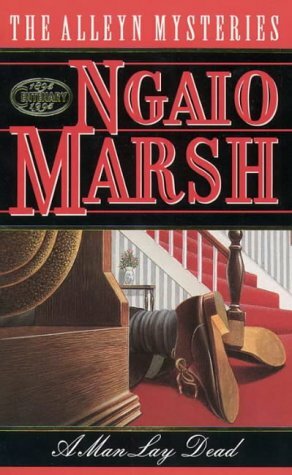 Clocking in at almost 700 pages, it's a substantial tale about an upper middle-class African-American family snarled in a web of intrigue and political machinations.An elderly judge is murdered and his youngest son takes on the task of solving the crime. That the judge had ties to the a man who worked for the CIA, and that the son is a scholarly law professor, only scratches the surface of the interesting cast of characters Carter leverages in the story. Clues are left for the protagonist to digest, but forces are aligned against him, as are many hidden agendas.Some reviewers have classified this novel as a legal thriller, but it is neither. There is no drama in the courtroom, nor does the story quibble over the finer points of law. What there is are informative discussions about legal topics taught at law school, but even these are not central to the story. The novel is also not a thriller, where heroes and villains battle for monumental consequences. The Emperor of Ocean Park is just a good old-fashioned whodunit.The novel employs the first person perspective, and readers who enjoy descriptive prose will be especially pleased. It's very easy to believe a law professor is doing the narrating. Carter takes his time relating people, places and events, but he also takes his time resolving the mystery. Key questions raised early in the book are not resolved until the end, hundreds and hundreds of pages later. In between the main character seems to coast instead of race for the answers, and page long paragraphs are prevalent.I would have preferred a bit more urgency, but the book is so well written it was still a pleasure to read.Armchair Interviews says: Plan for a long reading session as this book is almost 700 pages of great writing and a good story. Excellently Written But Patience Is Definitely Required! 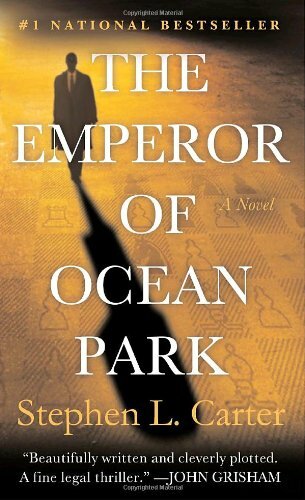 Stephen Carter is an excellent writer but The Emperor Of Ocean Park is not an easy book to read. 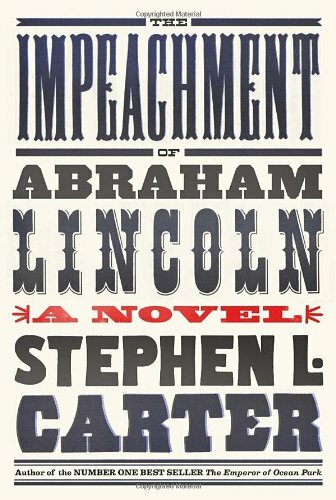 I'd suggest you only attempt to read this 654 page book when you are willing to invest a lot of time and patience in wading through Carter's extensive descriptive passages in order to for the plot to move along. The plot, itself, while very slow moving, is intelligently crafted. 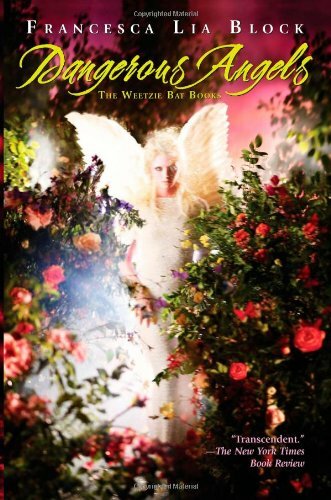 The characters are very well-developed and are probably what is most memorable about this book. On a few occasions early on in the book I had to force myself to keep from moving on to another book due to the snail's pace of the story line, even though I was enjoying the high quality of Carter's writing. All in all, reading The Emperor Of Ocean Park is "work" -- but pleasurable work. I think you'll enjoy this literary mystery but,as I said, only attempt reading it when you're in a particularly patient frame of mind. Although I suspect this book was not wildly popular, I loved it. I found myself drawn into the mystery that Carter cleverly weaves. I say clever but I mean intelligent because ultimately this book's virtues rests on Carter's wise, intelligent writing. In fact, the only defect might have been the temptation to edge the book toward being a Grisham-like potboiler instead of a more literary work. Not that I think Carter doesn't have a gift for interesting plot twists. He does. But his real strengths, in my estimation, are character development and dialog. I came home from work each night anxious to learn what the characters were up to and what interesting insight or wisdom would be revealed. A rare quality I associate with a writer like Mark Helprin or Leo Tolstoy.I am sure this book was popular enough that Carter's publisher will be insisting he write another book. I certainly hope so and anxiously look forward to it. This booked steadily moved from five stars to two as the pages kept climbing. Why and editor didn't shake off some of the excess to get to the heart of the story is beyond me, but as it is I had a hard time staying interested after the first three hundred and fifty pages or so. The other problem I had with the book is I didn't find Carter's protagonist particularly likable.So for me I had a hard time connecting with the guy much less investing in his dilemma. Consequently by the time the novel climaxed in a cinematic stand off, there was little surprise or interest. Streamlined this could've been a taut page turning thriller. There were just too many pages to turn to get to the thrill. I, like several others, found the story of an upscale African American Family caught up in political corruption and personal turmoil fascinating, and the mystery convoluted, contrived, and at times predicatable. There are actually two books here; one quite good and one quite mediocre. Mixing them together did not improve on either one. Still, I'd like to see what Carter does next, though I hope he has gotten some of the racial diatribes out his system and can write about an African-American experience without railing at the rest of us. Good description. Enjoyable mystery. This author kept me wrapped up in the story to the point where I didn't want to let go. I'd recommend it. Good to listen to - but to read???? 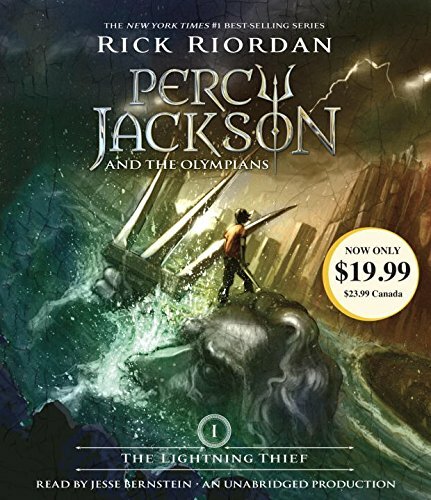 This book got a lot of press when it first came out but I resisted the urge to pay full price for it. A few months ago I found it on the sale table and took the plunge. I still never got around to reading it, but then ran across it on audio cassettes in the library. Thank goodness for audio cassettes - in this case all 16 or so of them.I must commend the narrator who was very good - all except for his voice of Bently, Talcot's little boy. I found it irratating.It seems to me that the author had to put in every character and plot and sub plot he ever thought about using in a work of fiction. And all of the characters had flaws.Frankly, I have to admit that I would never have gotten through this book had I read it. Conversations that should have lasted a minute or so to get the message across lasted 2 and 3 minutes. Didn't the author recognize when he made his point?I assume he wanted to make it clear that there is a black middle class and that the have the same problems as the white middle class. Ok, you made the point.I couldn't figure out what Talcot saw in Kimmer. She was miserable and a real......, well supply your own word.I'd recommend this book on tape, but I don't know that I would recommend anyone the torture of reading it word for word. Like a fine meal prepared by a skilled chef! Into a world of instant gratification and quick sitcom/mini-drama type resolution comes a fabulous new novel by Stephen Carter.Judge Oliver Garland, a feared, respected, and misunderstood man, is dead of an alleged heart attack. As his family, friends, former colleagues and other assorted denizens gather together to pay last respects (or at least plot underhanded political manuevers), the reader begins to suspect that not all is as it seems. Enter Talcott Garland, second eldest son of "The Judge", and the one riddled with the most self-doubt and angst. His father's death has created a vacuum in Tal's world that is quickly filled with conspiracies and danger.Carter takes his own, sweet time unraveling his story, much to the benefit of the reader, introducing paranoid plots and many red-herrings along the way. At first I found the lengthy read daunting, but settled into the lyrical language and ever-deepening plot comfortably. It's refreshing to find an author who takes his time to unravel his story rather than rushing through. By the end of "The Emperor of Ocean Park", I felt I knew all of the characters very well...a rare find in many modern reads. In fact, reading "The Emperor..." was like enjoying a fine meal prepared by a skilled chef, delicious and hugely satisfying.I heartily recommend buying this book, cancelling all of your appointments, unplugging the phone, and digging in! I haven't read any of Stephen Carter's non-fiction work, but having just finished Carter's debut novel I feel as though I have. His opinions on everything from affirmative action to religion are tightly woven into the story, elegantly articulated in the thoughts, actions, and words of the characters that populate the Emperor of Ocean Park. Just as telling, the opposing viewpoint is voiced by characters who at best are portrayed as out of touch ivory tower academics (in one scene such a character waxes poetic at a dinner party about a theory on the unconstitutionality of marriage and is so hypnotized by the sound of his own voice that he is blind to the blank stares with which his argument is greeted.) 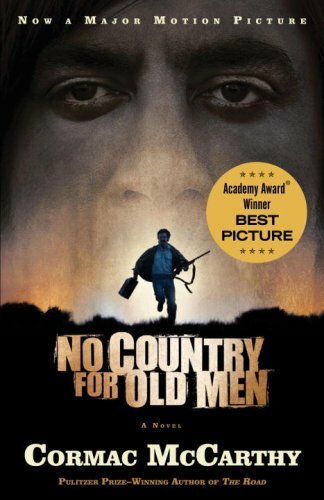 And that's nothing; wait till you get to the conclusion.The story follows Talcott Garland, a law professor at an elite university that bears an uncanny resemblance to Yale, and whose father is a disgraced former Supreme Court justice who bears an uncanny resemblance to Clarence Thomas. Mysterious things start happening once the old man dies, and Garland is hot on the trail, while simultaneously trying to salvage his marriage and prevent his academic career from derailing.Ocean Park is a thoughtful and entertaining page-turner. Carter sketches the characters and scenes with confident authority, and it's clear that he's writing about a world with which he is intimately familiar. There's much more than a mystery here, and though he wraps the story in a fast-moving fictional plotline Carter often turns his attention to the weighty societal issues of our time; race, politics, money, family, love and community.At one point in the book Garland rails against being described as "clever" by another academic, this term being something less than "intelligent" and inferring some sort of animal cunning rather than true mental capacity. This very well may be a sentiment that Carter has himself felt in his academic career, and it is clear why this would raise his ire; Ocean Park is a book which is dripping with intelligence. The irony here is that a bit more cleverness might have been just what the novel needed. Carter has the intellectual firepower to construct a complex and coherent imaginary world, but what is lacking is the literary instinct that would have allowed him to edit this 670 page tome into a tighter, more elegant novel. Frustrating...I tried to like it, but unsatisfying ending. (1) Too many secondary characters receive too much attention(2) A crucial character who is set-up to be intriguing turns out to have no impact on the plot at all(3) A big secret you were waiting for...is never revealed(4) Most of the characters are extremely self-absorbed(5) For a book that supposedly relates the experiences an unfamiliar world. I found very little that could be called insightful or even fresh. (6)There's a couple of nice passages that made me say "right on!" But not enough. (7) Sub-plots introduced early in the book have very abrupt endings midway through...muting their impact or cause you to wonder why it wasn't edited out. (8) At close to 700 pages the pacing was very inconsistent: at times I coudn't put it down, but more often I felt anchored in one spot for 50 to 100 pages at a time. (9) The tone was unremittingly downbeat. Some years ago I read "Reflections of an Affirmative Action Baby" by Stephen L. Carter. It's a memoir and an opinion piece, discussing how Affirmative Action influenced his life (he got into school because of it) and how it has influenced our culture and society since then. The book concludes that Affirmative Action should now end, because there are enough opportunities for everyone to succeed, even poor black people. It's an interesting book.In the years since, Carter has made a name for himself writing opinion pieces on the political discourse in the nation. None of them precisely engage a particular political figure: rather, they all tackle a subject, and render the author's verdict on the situation. Carter self-identifies as a liberal, but actually ranks with Shelby Steele, Tammy Bruce, and Christina Hoff Sommers, as a liberal who's listened to by conservatives much more than by people on their side of the aisle. He's more prolific than Steele, less polemic than Bruce, and probably closest to Sommers in tone and thoughtfulness. Now he's turned to writing fiction, and the transformation is marvelous.This book is billed as a 600+ page suspense novel. This is true, but somewhat deceptive. Although there are chase scenes, shootouts, murders, surprises, and mystery galore in this story, there is so much more that's not part of the normal mystery/suspense genre that it would be patently unfair to talk on just that level. First, the picture of the upper middle-class blacks, living in "the Gold Coast" in Washington D.C., and in their own neighborhood on Martha's Vineyard, is wonderfully rendered and pretty much unique in American fiction.Second, there's an amazing cast of characters here, from the narrator, Talcott Garland, a law professor who teaches at a university suspiciously similar to Yale, where the author himself teaches. He has a large family, full of siblings, parents, and cousins, all with diverse and interesting personalities, and each with their part to play in the story. There are also colleagues, friends, and competitors of Garland and his wife, and each of them, too, is wonderfully rendered, from a lesbian colleague to a Supreme Court Justice who's a friend of the family to an old law partner of Talcott's father. And lastly there's the cast of conspirators, many of whom remain mysterious throughout the book. Some are good, some bad, some you're not so sure about, some you never really find out.Next, the author does a wonderful job of rendering the setting that the characters populate. Someone picking up the book and seeing it is 600+ pages in length might imagine that there's a lot of plot here, to fill those pages, a sort of Ludlum-with-lawyers. Actually, while there is a good deal of plot, it's not on that level at all. Instead, there are marvelous descriptions of everywhere the narrator goes, from Martha's Vineyard to D.C. to the university town where he teaches. Descriptions of what the characters eat, where they go, who they see, etc., are everywhere in the book, and wonderfully done. You get the feeling you've been there by the time you're done with the book.I will tell you nothing of the plot, as some of the other reviewers have done, because I don't want to spoil it for you. Suffice it to say that Talcott (the narrator) has been charged with unravelling a secret that his recently dead father has left for only him to find. There are others, however, who either want the secret found, or want it destroyed. This makes for a wonderful puzzle, and an amazing story. I can't recommend this book highly enough, and hope everyone reads it. The tangled web is fine, that's why we read this type of fiction, The fundamental plot is plausible, for me any way. It's the characters interactions and more specifically their conversations tho that hurt it bad and then the outrageous ending kills it dead.The endlessly go-nowhere verbose dialogue is tortuous and irritating. After page 200+ it smells of padding. 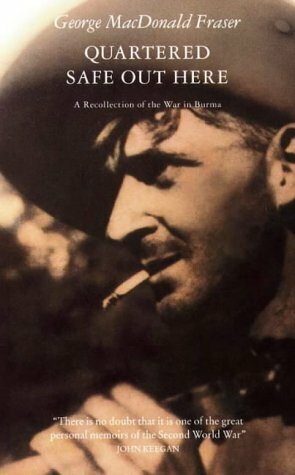 The book's protagonist, Talcott Gardner, never asks concise questions nor speaks concisely no matter how urgent the situation is (people are dying, he fears for his families safety, he's been beat up, he's being followed 24/7, he's been shot three times, his colleagues are turning on him, his wife is screwing one of his students.....). Dialogs between him and others take an average of 3 pages each and most are futile. Also everyone he talks to doesn't want to talk to him. Everyone!He has a NINE page utterly moronic conversation with his brother, Addison, that was a total loss. There was zero gain to the story.I got to where when a dialogue between him and a known character came up I skipped everything excepted what was in quotation marks.Stephen L. Carter is a big christian. He writes columns for 'Christianity Today: A Magazine of Evangelical Conviction'. ChristianityToday.comSoooo his blatant racism (black vs white) is disgusting but imo typical of all followers of a religion. They seldom practice what they preach nor the commandments.In 'The Emperor of Ocean Park' all, from what Carter calls, "the paler nation" are evil. All from "the darker nation" are righteous.Carter's writing skills are great, but he requires an editor. After reading this book tho I don't think his ego would tolerate it. "Emperor of Ocean Park" is two novels in one. The first is the story of a man facing the disintegration of his family and ideals that reads like a reactionary tract (i.e., ambitious, career minded wife who only thinks of money and her job). The second story is a murder mystery/thriller of sorts. The combination of the two themes strikes many as being fresh and unique, but quite honestly, while the racial theme is indeed a breath of fresh air, the interweaving of domestic drama, complex mystery and red herrings by the truckload has been done many times on television shows such as "The Edge of Night" and "As the World Turns." This does not diminish Carter's work, indeed, nobody told a story like "Edge" or "World" in their heydays, but as far as being new and unique, "Emperor" isn't. While these combined themes of family and crime work on the small screen where they unravel for months at a time, "Emperor" tends to feel a bit crammed with subplots and extraneous characters. I had difficulty at times trying to keep all the characters straight, what with the various nicknames, surnames, and familial connections. 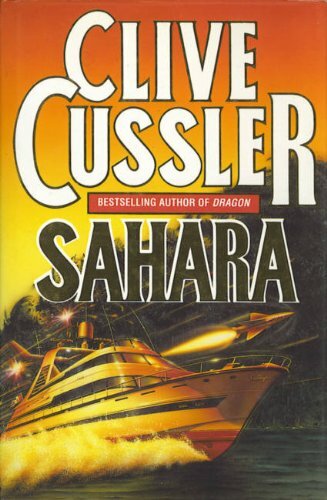 There are so many characters in this novel (and so many of them unlikeable) that I would often spend several minutes trying to remember whom the narrator was talking about.This book was enjoyable (if a bit over the top) as a mystery, but the narration of the novel is a bit flat. I can't say I felt much for the narrator, Tal, Talcott, Misha. It's hard to feel much for a narrator who accentuates the negative. The negativity and bitterness in the character sometimes just went a bit too far. Except when it came to his son. Oh lord, he loves his son Bentley, as we learn over and over (mainly because he keeps saying it - methinks the man doth protest too much). Unfortunately, I, the constant reader, came to loathe his son who refers to himself in the 3rd person and says "pwaygrown" so many times that you wonder if Carter was being paid by the word. Hint to all writers: let us now and forever place a moratorium on baby talk and gibberish; it's not cute, it's just silly.Parts of the novel seemed rather implausible, and none more than the academic dinner party where the Baptist Minister holds court talking about the power and evil of Satan while everybody politely listens. First off: why the odd juxtaposition of guests? Secondly: academics listening politely? Give me a break. The scene was much harder to digest than even the action packed, begging-to-be-a-movie climax of the novel. The entire scene was forced. I sure wouldn't want to have a man expounding on Satan while I am trying to eat my salad.This is a fair first novel. The writing does keep you guessing, and slapping your forehead with "Oh my gosh, that's who it is!" which is a joy. At the same time, the tendency of Carter to end every chapter on a cliffhanger (a favorite literary device of R.L. Stine in his "Fear Street" books), the (at times) absurd mystery and clues (complete with a "Yes, yes it was me all along and now you die, ha ha ha ha ha!" villain), the negative, reactionary tone and the one note characters, not to mention the mysterious ability of Talcott Garland to not knowing how to "wink" to magically "winking" 100 pages later tend to keep this novel from being truly great. Nevertheless, this a summer read that you won't forget.Carter has the intelligence and writing flair to keep this novel from being a waste of time. His reflections on the African-American middle class adds a unique twist, one inetresting enough that I hope Carter will explore it more in future (and less pessismistic) novels. "The Emperor of Ocean Park" is not in the league of Rohinton Mistry's "A Fine Balance" or Richard Russo's "Nobody's Fool", but it's a notable debut nonetheless. When I heard that Stephen Carter, the highly regarded Yale law professor had written a legal thriller I was very curious, very intrigued. So I ran out and got The Emperor of Ocean Park. While the novel is far from perfect, it has a good many qualities which I think many will enjoy. One thing I appreciated was its accurate portrayal of the legal world. Carter has some brilliant and on target observations of that world, particularly of that of the law school that are a refreshing departure from, let's say, the works of John Grisham. Another strong point is the entirely plausible plot. It is grounded in reality, without being dull or boring. Professor Carter is clearly a very intelligent person, and his writing, for the most part, reflects that. I do, however, have a few complaints about the novel--my main complaint being that his editor appears to have forgotten to actually edit. This novel is very long, and probably could have been better if it were about 100 pages shorter. I also warn that the ending is a bit frustrating--some may be disappointed by it--but that's all I am going to say. Overall, however, The Emperor of Ocean Park is a well written and engaging novel which I believe most will enjoy. This book is a winner. I need to say that up front. A thriller, a commentary on race and culture, a literary behemoth..."The Emperor of Ocean Park" sets out to be much more than a run-of-the-mill mystery. Carter takes on a massive cast of characters and social issues and clearly communicates his points. I applaud his courage to aim, without apology, at many of our country's sacred cows. Whether or not I always agree with his targets, I admire his insights and powers of persuasion.The book starts with the death of a revered judge. It ends with his son trying to reconstruct the events leading to his father's demise. Everything in between is in the form of a mystery: threatening notes, ransacked rooms, late-night attacks, graveyard shootings, and spies around every corner. Played out on the chessboard of life, the novel succeeds on many levels.My complaints are pedestrian, yet worth noting for those deciding to undertake a journey through a book of this length. Carter's main character, while short on revealing emotion, is more than willing to pontificate on issues of our age. This is enjoyable--until about half way through the book. By this time, we're interested in the story and impatient with the diversions. As the denouement nears, we realize that the plot is a well-crafted and labyrinthine thing, but it also cheats us to some extent. Like an Agatha Christie story, "Emperor" withholds certain names and occupations, etc, until the precise moment when we, along with our hero, can say "Ah, now I see." This style, in my opinion, is unfair to the modern reader. We want the chance to put the pieces together. Yes, we're impressed at the tale-weaving, but give us a real chance to solve the puzzle along the way, or to realize at least that we missed that cleverly hidden clue.I loved the book for the first 300 pages, liked it very much for the next 250, and liked it so-so in the last 100. Overall, I recommend Carter's fantastic writing skills. I'll jump to read his next book. I hope, however, that he can marry his literary skills and story ideas with a mystery style more attainable to his contemporary readers. There's a lot of hype going around about this book, so I wanted to read it myself and make up my own mind. I don't need critics and reviewers to tell me what I like and don't like; I'm an independent sort. 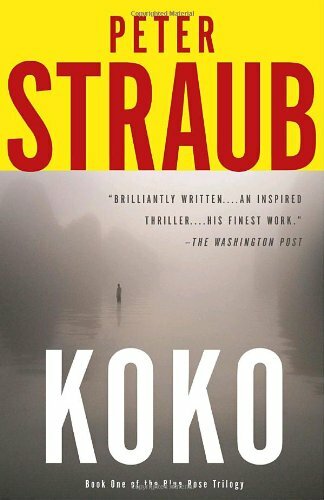 Having read this book, and having enjoyed it tremendously, I can wholeheartedly recommend it to anyone who enjoys a good thriller. This first time fiction author has done a superb job of keeping the reader's interest in his plot and characters. He is so evenhanded about the various peoples' political beliefs that, at the end, I still don't know whether he is a liberal or a conservative, since both sides get some rather severe bashing here and there. Also, even though most of the characters in the book are black, once you get going into the plot race becomes completely irrelevant, which says a lot about the quality of the writing. Some folks are complaining that this book is too long. I just think that these days we are getting too lazy to read books of any length; it's the "new age" lifestyle many people lead. If that feeling were prevalant in the 19th century, how would the works of Dickens, Trollope, etc. have fared? Not very well, I'm afraid. Excellent writing is excellent writing, no matter what the lenght of the work, and this book kept me intensely interested from beginning to end. This book started out a bit slow, but the author's keen observations about relationships, race, and human nature, along with the intriguing plot, kept me turning those pages, and boy was it worth it! I usually find whodunnit-type books boring, but Carter has such an interesting way of looking at things that I found myself reading as much for the thought-provoking situations and thoughts of his characters as for the suspenseful ending. This is quite a feat of writing. Carter has penned a novel of a family that is successful at most everything, outwardly, but relationships. A closer inspection shows that without the whitewash that loving relationships offer, all are shattered beneath a veneer of respectability. Misha, a law professor and youngest son, finds his life spiraling out of control after a cryptic message at the funeral of his father. While long, this is a book worth reading. .. it doesn't make it all the way to the "finish" line.I have read Carter's non-fiction work, and I have recommended it highly to my friends. I found his non-fiction work to be very interesting, and I love his easygoing writing style. When I heard that he had written a fiction novel ("The Emperor of Ocean Park") I eagerly went out and bought a copy.The lead character is Talcott Garland. A professor with an Ivy League Law school, married to Kimmer (herself a very good Lawyer) and together they have one son. In short, when Talcott's father (Judge Oliver Garland) passes away, under rather questionable circumstances, the family (especially Talcott's sister Mariah) starts to ask question. Talcott discovers a secret that he believes noone else has found out about. And the way this is laid out, he believes (together with others) that he is the only one whom can solve this mystery. When people, connected to Judge Garland, starts dying "like flies" around Talcott, the pressure is on him to both solve the mystery and protect his family.This is a deeply intriguing story, and "The Emperor of Ocean Park" kept me completely hooked from the first page. Very interesting and well-developed characters from a level in society that aren't too often represented in best-seller novels (affluent African-Americans with great education and successful at work). I truly didn't want this book to end. It was such an exciting book to read. I read it in long sittings at the time, completely mesmerized. Well, till it was maybe 30 pages or so left. Then I started to fear that the ending wasn't going to be as good as the rest of the book had been. And, I didn't like the ending at all. Enough said about that.The book kept me for 580+ pages or so, and it takes a good writing talent to do that!I recommend it, but be aware of the not "clever" ending. Mystery-Thriller, Family Saga, Psychological Study - Good Book! by Jana L. Perskie "ceruleana"
Carter creates an entirely believable character who I had trouble caring about. As a father, I sympathized with his feelings about his son. As a husband, I sympathized with his feelings about his marital relationship. As a son, ditto ditto ditto. However, this book is also a mystery, sort of. The issue is: was the main character's father murdered? At least, that is kind of the issue. Sub-issues and mysteries include why an Aunt is the way she is, why a brother acts so oddly, how much of the father's outward appearance is truth and how much is falsehood? When Carter gets into the action of the book, the writing shines. I want to see him write a straight mystery, because this man can pull it off.The problem is that he spends too much time repeating himself on relationship issues and reinforcing the impression that our hero has the right ideas about race. While it was refreshing to see what the author feels about race and racism, I didn't care for it in the setting of a mystery book.Two books: one a relationship drama and the other a mystery. They could have been blended and shortened more effectively. And finally, the writing itself is crisp and effective for the most part. by J. C Clark "eanna"
There are a million things wrong with this book, and I bet if I read all these other reviews I would find proponents of each of them. It is substantially too long; Mr. Carter was not well served by his editor. There are irrelevant and distracting details piled up, making the reader repeatedly wonder "What the heck did he tell me that for?" I am not a fan of novels being written in the present tense. Way too many lightning bugs instead of lightening. For instance, in an irrelevant detail very early in the book, I'm told someone worships at the shrine of bodybuilding. Would a glutton worship at the shrine of eating? Or an alcoholic at the shrine of drinking? No, the shrines need to be nouns, not gerunds. Unfortunately, this is not an isolated example. Nor does Mr. Carter know when to use whom, a not quite obsolete pronoun. And the "darker nation." After the hundredth mention (on about page 40) I was weary of this phrase.The back of the hardback is festooned with quotes praising this as a wonderful summer read. I don't know precisely what a summer read is. A poorly written book? A book written with specific movie stars in mind as it was composed? An overly long book? A convoluted book with too much plot and too many characters, all introduced with a first and last name? Well, by those criteria, this book is certainly a summer read.And yet...If I had written this review at 200 pages, it would have been a 2 star slam. But plowing though all 650 pages has made me forgive its many flaws. For this is a fine book. With editing it would have been great book. Should he head down the path of novel writing again, which looks unlikely, Mr. Carter may create something wonderful. There are many fine passages in here, worthy of careful examination. Dr. Young is an amazing character, worthy of a novel of his own. As in many of Trollope's novels, which I suppose Mr. Carter has studied, this fine clergyman, flawed and pompous as he is, embodies the themes of the book wonderfully. For this is a book about love. How do we love our parents, our spouses, our children, and our country? Especially when they are flawed - even highly flawed? And once the theme of love arrives, and we see that those who love, however imperfectly, triumph, though those victories may be small, and those who do not love fail, no matter how big their estates or diamonds, we see what this book is about. One of my favorite writers is Robert Penn Warren, a now out of fashion author. Warren's central theme, and his beautiful metaphor, is that evil is an immense spider web, and touching that web, even in the cause of good, ensnares us and causes vibrations in places we cannot anticipate, but will surely regret. Love simply and humbly, do right, and life will be good. Others may hurt you, even crush you, but it is better to lose than to win at that game.Worth reading, worth reading carefully. Talcott Garland is a professor of law and the son of a former Federal Judge who stepped down from the bench amid much controversy. When Talcott, or Misha as his closest friends call him, receives word that his father has died, events start taking shape that lead to a fantastic mystery that only Misha has the key to solving.It seems that the late Judge has left a series of clues, or riddles, that Misha is tasked with solving in order to find out what the Judge's "arrangements" were. The problem? Misha has no idea what these arrangements are or where to start looking. But a number of well connected and threatening individuals seem to know all about them and are eager for Misha to uncover the secrets the Judge hid so well. All the while, Misha has to cope with his failing marriage, his fear for the safety of himself and his family, his seemingly selfish brother, and his conspiracy theorist sister. Misha feels pulled in a million different directions while at the same time trying to live up to the expectations of a father with whom he was never close. His wife is in the running for a judicial appointment and doesn't want him to dredge up anything controversal that will stand in her way. His colleagues begin to think that he has lost his mind as he continues his father's search and makes what seem to be wild accusations. But his personal debates are nothing compared with the element of evil that is lurking in the shadows of every twist and turn.In his debut work of fiction, Stephen Carter has written a cleverly crafted mystery that keeps the reader guessing as much as the chess moves described that underly the main story. He has created believable characters - some of which one loves, others one hates - that lend credence to the tale. He has also supplemented the mystery itself with the characters' own personal problems that make this a story about life as much as intrigue. My only fault with the novel is the discussion of race that is part of Misha's inner conflict. Misha makes many observations about black versus white and often is angered at his perceptions about disadvantages he suffers as a black man. While the author and his characters are certainly entitled to their opinions and feelings, this aspect adds nothing to the story of the novel. At times it just makes Misha seem bitter about race, but it never relates to the overall plot. 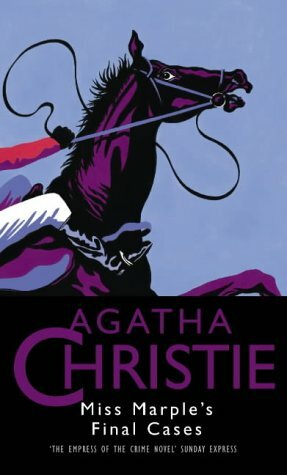 I kept waiting for race to tie in to the mystery aspect of the book, but it never did and ultimately served as a distraction.Overall, however, the novel was a well written and suspenseful mystery that keeps the reader guessing up to the last pages. But it was more than a mystery in it's look at human dynamics, what money and power can do to a person, and how important family can be, even in it's most disfunctional form. The reader that keeps with this book will be rewarded. The conversations in the book are intelligent, the characters and dialogue are real, and the descriptions and settings are vivid. While the author provides a lengthy disclaimer at the end of the book explaining how the fictional university and town in the book are not based upon Yale and New Haven, it is sometimes hard to believe, especially given that the author has been a faculty member at Yale Law School for over twenty-years. This is not to say, however, that the descriptions in the book of the law school and town are inaccurate. Rather, they may provide quite an accurate description of a town torn between those affiliated with a prestigious university (Yale) and those that are not.In short, I enjoyed this book because it kept me guessing and the pace was just right. This is not a read-it-in-one-day thriller that Grisham might come up with. Instead, this is a much more intellectual read. What I enjoyed most about the book are its insights into life itself. Carter uses fictional characters to explore the good and bad sides to marriage and family life, careers, law, and racism in this country. If you are willing to keep reading when the story seems slow and to learn and grow with the characters (especially Talcott), believe me, this book will reward you, and you'll be glad you read it. by J. F Malysiak "macafferty"
I realize this book has received some pretty awful reviews, and with that said, I was expecting not to like this book nearly as much as I did, especially as "legal" thrillers are not a genre of fiction I particularly care for.From page one, I was hooked. No, this is not John Grisham and yes, the plot meanders a bit and no, the ending is not as satisfying as I had hoped. But after over six hundred pages, Carter succeeds in creating a central character "Talcott" the reader can honestly root for as well as a host of other characters that are utterly sympathetic, or if not sympathetic, then wholly believable. To a certain extent, Stephen Carter does for the African American New Haven/D.C./Martha's Vineyard community what Tom Wolfe has done for New York and Atlanta: he presents not just a cast of interesting but disparate characters, but a living/breathing cross-section of society.Intelligent, thought-provoking, and one of my picks for 2002's top novels. by J. Lewis "Bookworm and Music Lover"
Mr. Carter gives us a thrilling story to go along with an intricate plot. He masterfully uses the game of chess in providing the narrator, Talcott Garland, some clues on why his father, "The Judge," died and the "arrangements" made prior to his death.After reading about 3/4 of the book, I was on my way to giving it five stars. However, I was very disappointed in the ending. There were at least three mysteries that were not yet solved at the conclusion of this book and left me feeling empty afterward. I almost felt as though I wasted 2 weeks of my valuable time reading this book. When I got to the final 4 or 5 pages, I was hoping desperately that some of mysteries would get solved or mentioned but they were not. Further, the narrator began to become a little bit too sanctimonius toward the end also. He was married to a beautiful and intelligent yet self-centered arrogant unfaithful wife but still loved her in spite of herself. His self-loathing and seemingly idol worship of his extremely flawed wife got to be a bit nerve-racking.This book was good but could have been much more had the author tried not to get cute toward the end. Stephen Carter is a well-known African American legal scholar, and this first novel, a legal mystery, offers an intriguing glimpse of upper middle class black society. It's well-written and gets off to a promising start, but bogs down pretty quickly, as the author tries to unravel the tangle of his father's life, and at the same time deal with an unfaithful and pretty nasty wife, his failures as a professor, impenetrable faculty politics, a crazy family, being frequently followed, and his anger at his own race. Carter's rather astute observations of this segment of American society are overwhelmed by a complex plot and multiple characters, and I was soon skimming through it just to get to the end, which I thought was fairly improbable. I kept thinking some of the plot lines were heading somewhere--that Talcott's self-obsessed, unfaithful wife, would end up being on his side, for example, or hand him the clue, or turn out to have been faithful after all--but no--she's as unlikeable at the end as she is at the beginning. And the mysterious Maxine--a new love interest perhaps? But she drops out as quickly as she dropped into the plot. If you're stuck in the airport you might pick it up, but if there's a Grisham or Turow you haven't read yet, go for that instead. Carter has manifest skill as a tale-teller and as a character-creator, but his gifts run riot in this debut novel. I agree with those who say the novel is too long, maybe twice as long as it need be. There is too much doubling back, repetition, description, etc., and yes, too many characters.One thing I notice--and Carter is not alone in this--is minute description of things--what people are eating, etc. The general excuse for this sort of thing is verisimilitude. But a little verisimilitude goes a long way. There's too much of it here. I should reveal tho that I have a screenwriter's suspicion of the long-windedness and often indulgence of many novelists. They should discipline themselves writing filmscripts, which average about 120 pages for a 2-hour movie. Every word has to count--nothing extraneous is permitted.Another trick of Carter's is to mention something significant that the protagonist says to someone without revealing what it is. This is just playing games with the reader. I think the rule should be that the reader should know as much as the protagonist/narrator. Then there are cases where the protagonists's reticence creates unnecessary problems, where a word might suffice to clear up the situation.As someone said, there's a story here, but you have to dig for it. If you like byzantine mysteries this may be the book for you but as many have said here, it is way overlong and the plot is certainly incredible, meaning not credible. Carter writes well and his telling of the trials and tribulations of the Garland family is the strength of the book but in the end, it reads primarily as a thriller and as a representative of that genre, it is merely OK. This book kind of does for academic detective fiction what Scott Turow did for legal detective fiction. The story is somewhat groundbreaking and plot keeps a reader involved. I enjoyed it because it made me think and it contained a compelling mystery. This complex novel is told through the eyes of Talcott (Misha)Garland, an African-American law professor at a prestigious east-coast university. The story begins when Misha's father, Oliver, dies. Oliver was a judge who had a failed attempt at the Supreme Court because of his association with an underworld figure who was a close friend. Misha's sister is convinced that their father's death was all part of a conspiracy and she is determined to uncover the plot. Misha receives a request to reveal his father's "arrangements" from his father's shady friendbut Misha doesn't know what he's talking about. In the ensuing chapters, Misha is stalked, attacked, and frightened in a variety of unpleasant ways. He is confused as to who are the good guys and who are the bad guys and why they all seem to be after him. Meanwhile he has to tread a thin line with university politics, his wife's possible appointment to a judgship, his not-so-secure marriage, and several fractured relationships within his family. Author Carter balances theseplot lines with the finesse of a juggler and manages to keep the reader's attention through a long and complex book. Carter could probably have trimmed off about 200 pages and still had a good story, but his main character's ruminations are erudite and illustrate the thought processes of a highly-educated, intelligent African-American man in today's society. One of the many reason I stopped reading thrillers is that I would pick up a book - read the first third - and then realize I had read it before. They are so hard to tell apart because the characters all seem to be one of about 5 stereotypes and only the locales seem to change. "The Emperor of Ocean Park" takes the best part of the thriller - the compulsion to turn the pages faster and faster - and adds that to a novel about a very complex family and the death of a very enigmatic father. The main characters are well drawn and the details of the day to day lives of these people make this book stand out from the others of it's genre - yet the twists andturns keep the reader guessing.I have to admit that I was a little disappointed by the ending - but probably because I was expecting the usual blood/gore fest that usually ends a thriller. You still had the villian doing the "here's why I did it" explanation at the end which I always find ridiculous - but this ending was more believable thanmost. (OH - and the main character's wife's name is Kimberly - but she is referred to as "Kimmer" throughout the whole book. AWFUL choice and very annoying. )I was stuck on a plane for 6.5 hours while reading this book - and had a pleasant flight because of it - despite the fact that we were de-iced twice!A perfect plane/beach read that isn't cheesy or embarassing to be seen holding. Emperor of Ocean Park is really three books. One is quite interesting and good, the second is dull and the third is rushed and poorly done. When Carter is talking about upper class black life he's good. When he's preaching about race he's stiff. When he's trying to do the mystery elements he's terrible. Emperor cries out for a good editor and a ghost writer to fix the mystery. Instead it got one of the most impressive ad campaigns in recent history. Hype is powerful and can make a bestseller but it can't make a so-so book great. I'd say wait for the paperback to come out or go to library. The hottest book of the season, THE EMPEROR OF OCEAN PARK, is considered by most to be mainstream fiction written under the guise of a mystery. However, after reading this voluminous work, I feel it is an extremely intelligent mystery wrapped in a mainstream package. Nonetheless, this exceptional fictional debut should appeal to all readers and is so well written it literally blows away all other books written in quite some time.Judge Oliver Garland, a black conservative judge and once a nominee for the US Supreme Court, is found dead in his study. The death is felt to be natural. His son,Talcott, a law professor at a prestigious university, receives various messages from those who knew the judge that suggests something sinister might be going on that possibly could have resulted in the Judge's death. At the same time, Talcott's wife, Kimmer, is being strongly considered for a highly prestigious appointment to the US Court of Appeals. As Talcott investigates the mysterious circumstances of his father's activities and associates, many feel Kimmer's chances of getting the position might be in jeopardy. With repeated assurances as to the safety of his family and himself from an old friend of his father, Jack Ziegler, a sinister millionaire with ties to the intelligence community, Tal still finds much in his life at risk. His marriage is unraveling, his position at the school appears to be getting increasingly tenuous, and, in spite of Ziegler, his life may be in danger. With a strong sense of desperation, Tal continues to plod ahead in an effort to find out the truth about his father's death and the life he led.So many of today's crime novels deal with the banalities of life. We learn, whether we want to or nor, the type of toothpaste our main protagonist uses, the cereal they eat, the car they drive and where they most enjoy eating. Stephen Carter, author of several nonfiction books, looks at life's more important issues. Hence, topics such as religion, politics, marriage vows and values and the status of the black middle class in today's society are all interspersed in the intertwining plots of the story. The novel is very rich in character detail; astonishingly so for a first time novelist. However, in spite of the fine writing and superb organization of the book, the weakest link is the mystery subplot itself. The puzzle and problem that must be solved is clever. The suspects well presented. However, near the end, Carter resorts to much stereotypic scenes that after a book so well laid out is quite surprising. I am referring to the scene of the villain holding the gun and divulging all. Yet, the resolution makes perfect sense and is not unnecessarily complex. THE EMPEROR OF OCEAN PARK can be read on many levels. It can be read by the mainstream fiction audience as a treatise on a whole host of real life topics written by a well-known modern philosopher. It can also be read by those looking for a lighter read in just concentrating on the mystery and thriller elements. The cliffhanger type of chapter endings are sure to place this summer's beachcombers. In other words, the book should appeal to a very wide audience. This is the hallmark of a great book and it is surely one that should not be missed. Successful crossover from non-fiction to fiction. Previously known for his legal essays, Carter now proves he is one of those rare breed of storytellers who can write an intelligent mystery without resorting to gross-out details of autopsy reports or true-crime gore. The characters in this writer's first work of fiction are true to life, full of passion, cynicism and biting social commentary. When a conservative black judge is found dead, everyone assumes it was a heart attack. But when the judge's son, conservative law professor Misha Garland, receives strange messages and notices someone following him, he's not so sure. Carter ends each chapter with enough crumbs to keep you turning the pages for more clues, but keeps you guessing until the very end. Well done! I really liked the beginning of this book. It's tight, interesting, and different, full of insights into worlds I don't know anything about, like the African American middle class -- or, as Carter puts it, "the darker nation" (white people belong to "the paler nation"), conservative politics, academic politics, and government bureaucracy. He also writes about family loyalty and honesty.When Carter is writing about politics, the darker/paler national divide, and college hierarchies, I believe him. But when he turns to government crime and secret organizations, I don't. This might be because after the first four chapters, there's a pretty startling drop off in writing quality. For instance, we jump back and forth in time, for no real reason that I can see, until the narrative gets totally scrambled. Also, the narrator starts to repeat himself. He keeps noticing the same things, wishing the same wishes, feeling the same feelings. Just about every male character, for instance, gets described in terms of his muscle tone -- again for no reason I could see, not one linked to the plot or theme of the novel anyhow. It's hard to tell when something's important (or if it's happening before or after something else we've just learned).About halfway through I started to skim. The plot got pretty bizarre, but the marriage and family stuff worked most of the time (except for those times they were tweaked out of shape to fit in with the assassins and government secrets). This would have been a good book about the pressure of upper middle class life: father/son relationships, sibling expectations, honesty in marriage, and work. It's just not a very believable story. Read the first half, forget the rest. I read this long before ordering books from Amazon so please excuse my forgetting a number of details of this book. I do remember enjoying this read very much and shared this with my spouse, as well as co-workers. I don't do this with books I do not find interesting. I enjoyed reading about Ivy League academia, as well as the African-American experience in same. Tal was a likable character as was his sister [or was it sister-in law?]. The mystery surrounding the Judge's death was a compelling read. This book and the mysteries within sustained this reader's interest from beginning to end. Can't wait for more from this author. Highly recommended reading! Talcott Garland inherits both a house on Martha's Vineyard and a dark mystery from his late father, an embittered former Judge. Talcott pursues the clues and is drawn into the sad and notorious history of the family. His obsessive pursuit puts both his life and his marriage in jeapordy. Each chapter adds thrill to the hunt which culminates into a surprise and satisfying ending.Author Stephen Carter paints this story on several levels. We view the lives of affluent Afro-Americans, whom Carter refers to as the 'Dark Nation.' Their lives, politics and relationships are as engaging as the mystery. Carter also pursues the depths of a difficult father and son relationship. Talcott's motive in finding the truth is the parallel pursuit of finding closure with his distant father. In doing so he rediscovers himself. "The Emperor of Ocean Park" is a delight in all of its levels. Stephen Carter demonstrates great skill in his first attempt at fiction. I look forward to the next. In the final analysis (and yes I know that is a peculiar way to start a review), I'm nearly as conflicted as the book's protagonist, Talcott Gardner. Steven L. Carter wrote with passion and intelligence, crafting an enticing mystery on a par with the best of the modern leaders of the genre. As a first foray in fiction, much about this book is to be applauded.The main character, a tenured law professor at one of the most prestigious universities in New England, is reluctantly enveloped by a vortex of intrigue when his father, a former Appellate Court Justice and disgraced Supreme Court nominee is found dead in his study, apparently the result of heart disease. Talcott, also known as Misha to the closest of friends, is nonplussed by discoveries made while perusing his father's study however his older sister is adamant their father's demise is due to causes other than natural, no matter what the official reports indicate. Talcott's grieving, such that it was since he and his father (or any other family members for that matter) have not been very close over the last few years, is further complicated by entreaties for information from one of his father's oldest friends, perplexing visits by individuals representing themselves as federal agents and cryptic comments from the matriarch of what remains of his family. As he discovers, his father has constructed a complex matrix of clues, based on an arcane area of chess, like the study of law, another passion shared by father and son, only Talcott has the knowledge and wherewithal to decipher. From every indication, whatever information his father spirited away has the potential to turn the corridors of the government as well as the gilded walls of the financial district, to ruin.Interwoven with the mystery, unfortunately with misaligned seams, Carter offers a glimpse into the lightly viewed world of the Black Upper Middle Class, through the prism of Gardner's first person narrative. Gardner's family is an example of Dubois Talented Tenth, the upper strata of Black Americans addressed inBlack Bourgeoisie: The Book That Brought the Shock of Self-Revelation to Middle-Class Blacks in AmericaandOur Kind of People: Inside America's Black Upper Classhowever the personification offered by Carter's characterization of Talcott Gardner is not one of personal satisfaction or laudable achievement as he reveals himself to be, disaffected, often alienated and frequently insecure in either venue, the paler or darker nations, as the author has so anointed the this country's racial divide. Gardner is self-flagellating, self- deprecating and generally an unsympathetic characterization as in the effort to present multiple views of most issues, the vehicle of the first person narrative results in a central character who fails to enunciate conclusive personal viewpoints on anything but take interminable pages to do so, in repetitious fashion. Again, due to narrative choice, the only characters that appear fully fleshed out are Talcott and the judge.The result is a story that is fundamentally worthy of commendation enmeshed in a text that is unnecessarily long, arguably exasperating to read and marginally unfulfilling as too many vexations of the story are left unanswered in the end. The Emperor of Ocean Park is much too long and far too slow in terms of its plot development. Essentially it is the story of a Black Ivy League Law Professor long dominated by his father who is a Federal Judge. After his father's death egged on by his apparently paranoid sister, he is caught up in trying to ascertain whether or not the death is murder, or from natural causes. Add to this the fact that he is a wimp who is almost sure that his wife is cheating on him, but refuses to do anything about it. It was at times an excruciating read. I kept talking to our narrator urging him to act like a real man and was estatic when I finally got to the end of the book. I tried to wait a couple of years to let the hype about this novel die down before reading it, thinking that time would allow me to approach the novel without any bias from previous critiques. While I don't remember much about the reviews of "The Emperor of Ocean Park" when it was initially published, I do know that the story seems to lack the pace and suspense required for me to maintain any interest in it. The story centers on unraveling the circumstances surrounding the death of the patriarch of a prominent African American family. I was hoping that the concept along would keep me interested but the story moves too slowly. I'm not giving up on this one but I won't try it again for a few years. I read constantly, much of it forgettable as soon as I'm done. The Emperor of Ocean Park is a book you will think about long after you are finished. I disagree with many reviewers that the book is too long. While Carter does not write the kind of prose that makes you read for the sake of it and his dialogue can seem stilted, there is so much being said within the story. The mystery is compelling, page turning stuff. And unlike other works there is nuance to the story, not a straight line but a journey to the truth. Not to be missed. I don't read much current fiction, so I am not a very good judge of what the standards for fiction are. Still, it took an inordinate amount of time for things to begin happening in the story. It's like showing up for weaving class, all materials provided, and having to watch as they assemble the loom and spin the yarn before they string the loom... and only then, after 4 or 5 hours, do you get down to business.It is a thrill to read the case for black conservatives set down in print in a fiction book, written and defended as a normal thing. Of course, Stephen L. Carter makes the case for every single point of view in this story the same way -- the militant communists, pro-life lesbians, the religious, the irreligious... he writes it. all. down.And I did not guess the ending, nor half the plot twists, so I would say the book was full of surprises. Good, but not tight. The Emperor of Ocean Park by Stephen L. Carter. is a quite compelling if not evenly flowing or artistic read. It's an ambitious book that works on many different levels. As a first time novelist, Carter should have stuck to one or two, but in the end you are glad that he didn't.As a thriller, it bites you slo-o-o-wly. I get the feeling that if Carter weren't so interested in putting us in his protagonist's stubborn and provincial shoes, we might figure out exactly what is going to happen next. Of course you cannot guess because the twists and surprises go for almost 650 pages. The thriller could have been shortened by half. But if we were to do that, we would have had to make the protagonist less harried and more intrigued.Talcott Garland is not intrigued, he is haunted by being the scion of a legendary judge and patriarch who has set in motion wrecking ball from the grave aimed directly at his upper middle-class life. Carter is not content to trace the trajectory of this wrecking ball as it crashes through the many windows and wall of Garland's complicated life - no that would be a thriller. Rather he draws out the contemplations of a man who may by his actions and reactions to the threats of this wrecking ball, may be going insane, or who may be becoming a hero. And since Talcott Garland is a member of the darker nation, Carter has reinscribed a new class of Negroes into the duBoisian dilemma of dual consciousness. What's so thrilling about that?What's thrilling about it is that this is certainly what Carter must know he is doing. And as we like to say in the black upper middle class, 'this sets us back 100 years'. But that's just one angle on this story and I'll leave it at that.Carter also injects a healthy dose of his most potent moralizing into the conscience of Talcott Garland who is forever trying to keep his wits and perspective about him. While he is surrounded by a whirlwind of manipulators and players, he tries desperately to play it straight. Talcott Garland has no guile to rely upon which gives him the courage to fight. Yet his abiding faith in his ability to recover the love of his cheating wife alone and finally serve honorably as head of his family pushes him to seek answers to the questions he'd rather not know. Garland comes armed with a host of virtues sown deeply in the ways and means of the talented tenth, but they are supplied not inherently but through his extended family. Each of a dozen family members and friends has a slice of those virtues and each imparts a bit of strength or knowledge upon poor Talcott as he valiantly struggles to unlock the mystery.Furthermore as a story of the times, of the moral mishmash of career ambitions in academia and in Washington, it's a marvelous book that continues his non-fiction scolding by other means.What absolutely floored me was the patience evidenced in the setting of traps by certain characters - there's not much you hear about anything so subtle in any fictional intrigue which has such a long horizon. Instead you hear the reverse, that mistakes made are long hid and only newly discovered by the hounding media or political opposition but that once discovered they are immediately brought to bear.Further, I think Carter does an admirable job of bringing race in and out of focus naturally as the story progresses, which is how it happens in life.It's a very ambitious book and quite a tall order for any writer. As an artist he's not quite up to the task. Although there are a number of gems in the form of page-long paragraphs you can just tell couldn't be dickered with, most of the writing is just writing. His habit of dropping annoying little bomblets of discovery at the very end of his chapters serves the purpose of helping keep parts of Talcott's recognition obscured to the reader, but gets tiresome. But the ending 200 pages makes up for it, given Talcott's final machinations and collaborations.I think the book is a bit chaptery, and it comes as no surprise that he created 64 to coincide with the number of squares on a chessboard, but I would have liked Talcott to be a lot more chess-wise in his thinking. Even having him think "protect the queen" would have been better. Also I think Talcott needed to be frayed a lot more. It would have drawn me in deeper. One never gets the feeling that Talcott's ruination would evoke in him the ugly side of losing one's status, I didn't sense his contempt for his potential lower-class neighbors, or his sense of how he would adapt. Talcott's mushy self-esteem is not a compelling place for a reader, but it does serve the purposes of Carter's moral lecture...Carter's imagery of Martha's Vineyard is not so descriptive so much as evocative for those who already have some emotional resonance with the place. But I found myself riding along on the ferry, gazing of the cliffs at Gay Head and lazily walking the Circuit along with him.The book is fascinating and bears up under different layers of scrutiny. That is what makes it good, and a must read for those of us who have shared, at various points in our life, the muddled consciousness of Talcott Garland. by Michael DENNISUK "cc coach"
Stephen L. Carter's "Emperor of Ocean Park" is part thriller, part social commentary, and a peek inside law school academic life. The characters a richly drawn and the story kept me turning pages. He examines closely the complexities of human relationships. It was nice to read a "thriller" that is not solely plot driven and has the balls to have protagonist with real human flaws. Well done!! In The Emperor of Ocean Park, Stephen Carter, author of several non-fiction works, has had tried his hand at fiction with mixed success. While Carter shows potential for being a good writer - and while a lot of the book is entertaining - there are enough flaws to merit only a three star review, though it would at least be a high three stars.The principal flaw seems to be that Carter is not quite sure what type of book he wants to write. On the one hand, he seems to be writing a version of the Great American Novel, an epic tale of the trials of one family. On the other hand, he has written a complex mystery filled with conspiracy and riddles. Although I enjoy both genres, Carter is unable to make them mesh well. The mystery detracts from the realism, and the serious, literary qualities dampen the suspense.Carter also tends towards wordiness; maybe his legal background has forced him to be overly detailed. This affects the pacing. Not much happens for the first hundred pages and the last hundred are left to explaining most things (but not everything). The middle four hundred pages, however, are quite good.Finally, the choice of the first person viewpoint seems to hurt the story. It takes a long time for Talcott Garland to seem more like a person than an observer; he is remote, which may work well in a private eye novel, where the narrator is truly an outsider, but here Garland is the heart of the story.There is not really much that is bad about the novel in the sense that the plot is entertaining, the characters are well-defined (given Carter's wordiness, perhaps too well-defined) and there is some good social commentary. If you are a fan of mysteries (which is really what this book, in the end), you'll find this okay but not great; while you won't put Carter with the great writers, you also won't put him with the bad ones. I loved this book for the first 150 pages or so, liked it for the next 150--and then stopped. Carter has loads of talent but could have used a stronger editor, as others have noted. the story just went on too long on the same note. Particularly wearing was the narrator's tortured relationship with his wife--divorce her, for cripe's sake. But I'll look forward to his next. For a first fiction work this book is really pretty amazing. Certainly it has its faults: like others mentioned its a bit long winded and redundant in places. But it does get quite suspenseful especially near the end, and its plot twists are clever. The most pleasant surprise however is the characters, which are really well developed and interesting to follow. If you like an intriguing suspense novel, give this one a look. In the very least keep an eye out for Stephen L. Carter, if there's any more to come then it'll definitely be worth checking out. Great Audio Book - 4/5 stars. The Emperor of Ocean Park, by Stephen Carter was a pretty enjoyable audio book. The reader is excellent, and the story managed to hold my interest. If I had a criticism it would be that the story seemed to take a while to get moving, but once it did it was a great story to listen to.Judge Oliver Garland is a brilliant conservative judge from Ocean Park, a black community on Martha's Vineyard. His nomination to the Supreme Court was denied because of his business connections to an unsavory character. Feeling dejected, humiliated and bitter, he turns to alcohol and is later found dead of what appears to be a heart attack.The judge's son Talcott, a professor at Yale believes that his father's death may have resulted from something sinister. Could he have possibly been murdered? Talcott is determined to uncover the truth even if it means risking his career. When a few more men turn up dead, Talcott follows some clues left by his father which open up secrets to his father's past.The Emperor of Ocean Park is an entertaining thriller that gives you a glimpse of different class structures, family secrets, murder, and a justice system that has gone wrong. Consider the following: A law professor at Yale University after writing several non-fiction books decides to write a fiction book. The author is paid $4 million for the title and the book is hyped for months, one publication going so far as in March to call it "the best book of the summer." Then the rights to the movie are optioned. And finally consider that John Grisham selects this book as the first selection of the Today show book club. Sound familiar? Well, unless you've been living out of the country or under a rock you didn't hear or watch this scenario play out and are not familiar with the book The Emperor of the Air or the author Stephen Carter. I for one had read so much about forthcoming book and couldn't wait for it to be available and gulp it down. Now that I have read it I do wonder what where all the cheering went to and if I missed something which others saw in this larger than life novel. Yes, the first few chapters intrigued me, but was 600 pages of detailed characterizations and an improbable scenario, ("Was there an editor," I kept asking) worth my time and effort? Not to me I'm sorry to say. And before you think I was scared off by the size of the book or the many themes including current political race relations, I say again that I really did look forward to this book.The book begins with the death of a Black judge. Well known and well liked for the most part, this judge retired soon after his nomination for the position of Supreme Court judge in part because of his association with a well-known Mob leader. His last days are spent dividing his time between his home in Washington and on Martha's Vineyard at Oak Park where he has long been considered an emperor. But shortly after his death the judge's daughter reveals to her brother Talcott and the main character that their father was killed and she's determined to find out why and who did it. Enlisting his brothers aid won't be easy as Tal's wife is involved in her own nomination for a government position and their marriage isn't all that stable either. Now the stage is set for what should have been a hair raising roller coaster ride of a book which quickly took on many convoluted plots and went downhill quickly. As one reads on and on they begin to wonder what the author was really trying to say. Was the book really about whether a judge died naturally or was killed or about his bid to become a Supreme Court Justice or was it really about another of the judge's daughters hit and run death and his attempts to find out who did this vile act or was it about Tals and his wife's marital problems and who is Angela and her boyfriend. Finally was this really an attempt to explain to whites about prominent blacks living on the Gold Coast and the Vineyard. Any one of these themes might have filled one book alone but in this case all these subjects were discussed and the book moved along at a tedious pace leaving me to wonder why I spent my time on this title.Perhaps law professors are more verbose than other writers and if this is the case, then other readers knowing this may very well enjoy this title. But, despite all that I have said and my awarding this title with only one star which I rarely do, there were parts of the book which were somewhat interesting and well written. Unfortunately there just weren't enough of them. Now I will be curious to see what Carter writes next if he decides to return to the world of fiction. Despite all that I have said I would be willing to give him another chance hoping the next book would be much better than this one. Talcott Garland, a lonely law professor, looks into the `natural causes' death of his father when it becomes clear that his dad has left explicit instructions in the event of an untimely demise. The rest of the book follows Talcott (Tal) as he chases down cryptic clues, some of which are based on chess strategy. Side plots involve Tal's disintegrating marriage, FBI followers, sexual and racial politics, and death threats.Who could ask for more? THE EMPEROR OF OCEAN PARK is an epic suspense saga of marriages & memories, betrayals & honor within the very separate world of the "People of the Darker Nations", as Talcott Garland ironically calls himself & his society. He doggedly & musingly recounts the crumbling of his life, even as he is driven into the dangerous & inexplicable underworld of old greed, long-ago murders & blackmail, & current killings most foul.First time novelist Stephen L. Carter has written a triumph of cultured irony & lethal shadow-filled thrills. It is packed with characters & intricate action -- all based upon a rare move in the cerebral game of chess. THE EMPEROR OF OCEAN PARK is a rich tapestry of ambition, family secrets, murder, integrity tested, & justice gone everso wrong.Rebeccasreads highly recommends THE EMPEROR OF OCEAN PARK as a superb immersion into a rarely glimpsed world. It is ably read by Richard Allen, who deftly highlights the wry humor which, in the written edition, might have been missed. This was a wonderful book, a thoughtful novel disguised as an entertainment. It has a central character/narrator who is both flawed and unlikeable, yet deeply sympathetic, just like each of us. The mystery/plot is a bit contrived, but how can such a thing not be? It is well-matched to the themes of the novel: worldliness vs. faith, and the cold comforts of integrity in a world where corruption is everywhere. 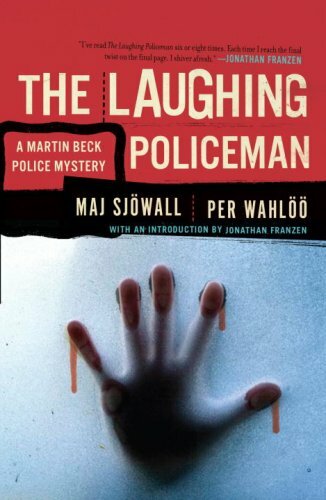 This was an interesting book with some mystery which made it good. Some plot twists and turns but the ending was not the clearest for me. The fact that this book explores university politics featuring east coast black upper-middle class characters made it stand out from the pack, but once you get over this facet (which I did pretty quickly), what you're left with is a well written and fairly intriguing mystery, more memorable than some I've read, less so than others. I suppose a book like this one is an antidote to the urban/hip hop/gangsta/etc. genre of "literature", not so much because it features black characters who are articulate, educated and well to do, but because it was written by someone who fits this description. Ultimately I could care less if the narrator of a novel I'm reading is a college professor or a drug dealing pimp. I only care that the story is absorbing and the characters ring true, and this book did a decent if not quite extraordinary job of accomplishing that feat. I CANNOT BELIEVE I PLOUGHED THROUGH 600 PLUS PAGES OF THIS BOOK. IT IS FAR FROM LITERATURE AND IF THE AUTHOR WAS NOT A BLACK LAW PROFESSOR IT WOULD NOT HAVE SEEN THE LIGHT OF DAY.IT IS SO TEDIOUS AND NEEDS MAJOR MAJOR CUTTING.THE WRITING IS AVERAGE, THERE ARE LOTS OF DISCREPENCIES A GOOD EDITOR WOULD HAVE CAUGHT. eg, THEY ORDER CRABCAKES AND RICE AND THEN THE CHARACTER IS LOOKING AT THE FRENCH FRIES ON HIS PLATE.THE WIFE, KIMMER IS ONE OF THE MOST ANNOYING, SELFCENTERED CHARACTERS I HAVE EVER CAME ACROSS.WHETHER THIS BOOK IS WRITEN BY A BLACK OR WHITE PERSON IT SHOULD HAVE TO MEET THE SAME STANDARDS AND THIS BOOK IS MOST UNSATISFYING. Slow start, but great finish! The start of this book was a quite slow for me. At 650 pages, I need something to convince me it's worth the time and effort...well, I guess this book was worth it. I admit, after of about a week's reading, I put the book down. It was a little dry. There was a lot of writings on what I felt was the authors own personal view of society and life. That's not what I picked up this book for, I picked it up for a STORY. Buried in these pages, sometimes buried deep, there was a story.Towards the middle of the book the pace picks up and the author stops all of his non-sense about his views or mundane details of the characters lives, details I felt, should be within the first 1/4 of the book. I don't want to be on page 200 and still be getting to know these characters, it's bad form to me.Anyway, afterall that, I picked up the book and finished it. Part of the reason for that was that it was this month's selection in my book club, and the other part was that I was very interested to see how it would end! I was pretty pleased with the ending. I did end up liking many of the characters (and beware, there were MANY to choose from)as well. My advice- Pay attention to them all, many serve a purpose later in the story. Stephen L. Carter is a fine writer, and his first novel has a worthy and interesting premise. It's also fascinating to get a glimpse at the world of elite African-American power-brokers. The chess framework here also is promising, and reflects the intricacy of the plot.But who in his right mind could have thought that it was a good idea for a book like this to linger on for more than 800 pages!? Where was his editor? In his inexperience, Carter seems to think that, every time he wants to introduce a new twist in the plot, he needs to create a new set of characters to put that in motion. The result is a meandering, disgressive, over-hyped pilgrimage through all the places of his protagonist Talcott ("Misha") Garland's past, present, and future. This protagonist is constantly taking his own temperature, and each time he does a new twist in the action must reflect it. Mental and physical landscape here are intertwined in a messy mish-mash that submerges the clear outlines of plot that a good mystery needs.Way too long and way too self-indulgent. Too bad: with a firm hand and a bold red pen, this might have been a good book.